Ladakh…. The cold desert. The land where snow sun and silence prevail and time seems to stand still. 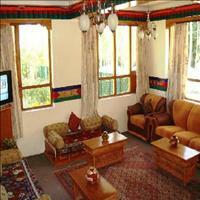 Lands abound with majestic mountains; set in spectacular environment is Ladakh. The land, where human bows to the bounty of natural beauty and rigidity, at the same time. The vast mountain ranges, the clear blue sky and the Indus River flowing by. A mixture of Buddhism and Islam, with monasteries and festivities, the people of Ladakh are equally tough, just as the climatic conditions and the mountainous terrain. <br />Ladakh is the abode of the rare Kiang & highland Yak and once was on the famous Silk route from Xin Jiang to West Asia and the plain lands of India. What we see today is the land which has been uplifted by the tectonic movements by the process of erosion due to wind and water. In geological terms, it is relatively young land, formed just a few million years ago. <br />Here the people pray for Sun and not for rains for their daily source of water. As the sun shines, the snow on the glaciers melt flowing in streams and later taking the shape of rivers. <br />The earliest history known of this region is that of the Namgyal dynasty, which ruled this <br />tough terrain in equal tough manner for nearly 900 years. Starting from the 10th century till the interference of the Jammu king and later the British, Ladakh remained under the reigns of the Namgyal who not only were responsible for the extension of their kingdom, but also responsible for prevailing peace in the region. Buddhism was offered a vast patronage in this region, mostly due to its proximity to Tibet and its isolation from the plains. Being the main stoppage in between the silk route, Buddhism grew and kept its traditions alive in these arduous terrains. 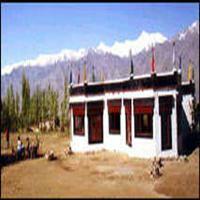 <br />Ladakh has often changed names, all of which give a good description of the conditions prevailing in the region are Lad wags, meaning land below the mountain passes; Bladwags which means the land of the lama and one is Maryul, the red country. <br />Ladakh is one of the lowest population densities in the world having 2 inhabitants per kilometer. The imposing mountains, the dry terrains, the chilly weather and the overpowering silence. But the smiling faces of those 2 inhabitants in one km area make all the difference.<br />The people of Ladakh are hard working and smiling. The harsh nature has taught tem to fight and live happily in these harsh conditions. Mainly followers of Buddism and Islam, the people of Ladakh belong to different ethnic backgrounds. They follow their own rites and rituals, toil hard to stay alive and entertain themselves with various forms of dances and dramas. 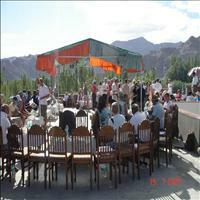 To witness such cultural festivals of Ladakh is an opportunity not to be missed for. <br />Ladakh is a virtual paradise for Adventure sports - Mountaineering, trekking, white water rafting, canoeing and many others.<br /><b>Leh</b> is the capital of this cold desert, Ladakh. 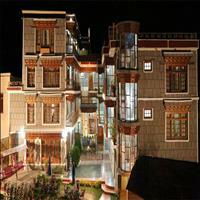 Leh town offers a number of sightseeing options for the visitors. A historic town that served as the royal capital of the Old Kingdom, it is also a bustling town of the region more because of its prominence for the period unknown. 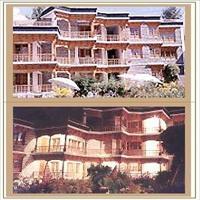 <br />The land mark of this small town is the imposing nine-storey <b>Leh Palace</b> built by King Singge Namgyal. Built in the Tibetan form of architecture, this palace is said to be the inspiration of the famous Potala in Lhasa. The ruins of the old fort built in the 16th century lie beyond this palace on the Tsemo Hill, which a royal residence of the Namgyals. 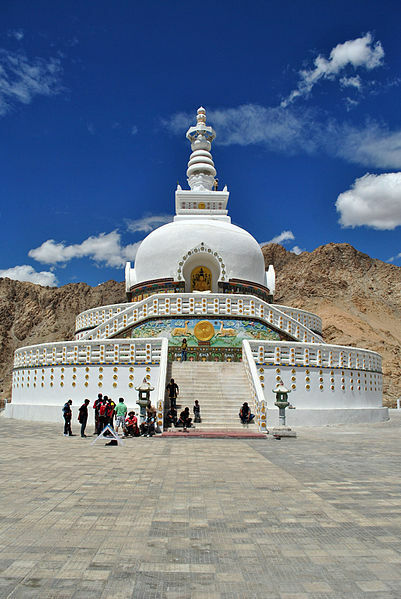 The Ladakh <b>Shanti Stupa</b> and the Jama Masjid are the worship points were people of the faith come to bow down in front of the almighty. 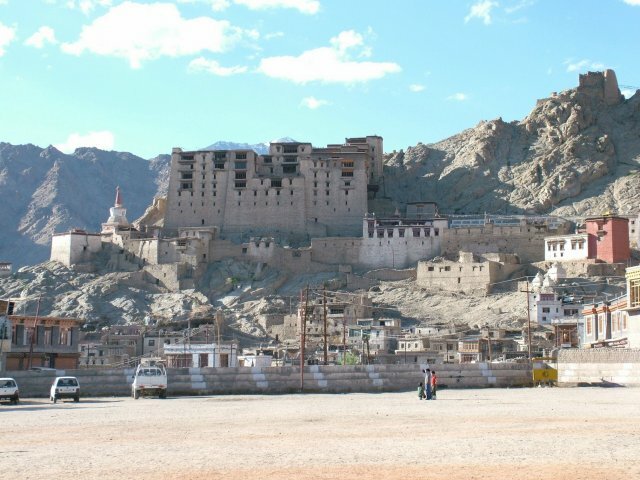 <br />The central area of Ladakh has the greatest concentration of major Buddhist monasteries called gompas. The <b>Lamayuru</b> is believed to be the oldest and also a sacred site for the pre-Buddhist religion known as Bon. The other monasteries of <b>Phiyang, Hemis and Chemrey</b> were all founded under the direct patronage of the ruling Namgyal dynasty. 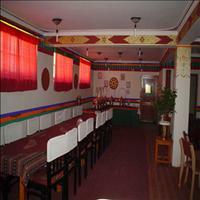 <br />The Spituk village and the Praying ground of the Dalai Lama, the Jiva - Tsal are the places worth visiting. <br /><br />Some of the areas in the Ladakh - Leh region were restricted earlier, due to security reasons. But now many such circuits have been opened with special permits to boos tourism in the area and open another natural charm of Ladakh region to the travelers. Trekking is the most reliable source to witness the natural beauty of the region. Most of these areas can be covered while trekking. The villages of the Drok - Pa clan and the Nubra valley are the important ones.<br />The Drok - Pa clan lives in villages down the Indus, between Khalatse and the Shayok-Indus confluence. Buddhists by faith, these people have migrated and settled here from the Gilgit valley. They are racially and culturally distinct from the rest of the Ladakhis. Their customs, their rituals and also their typical Indo - Aryan looks separate them from the inhabitants of the Ladakh region. Peculiarly different as they are in their customs and rituals, equally peculiar is their behaviour as they do not keep any cows or consume any of the cow&apos;s products. One should not miss the opportunity to witness the celebrations of the community&apos;s harvest celebrations. 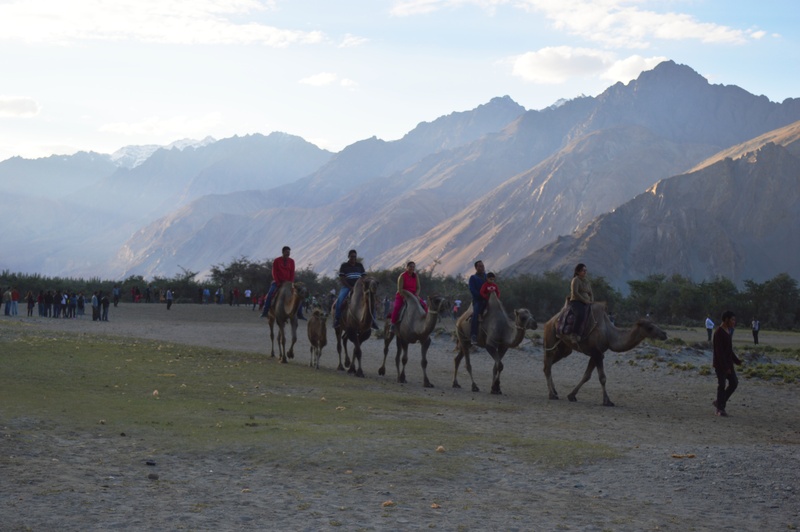 <br />The Bactrian Camel Safari in Nubra is the major attraction to reach this place. 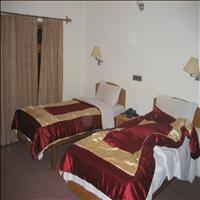 The region comprising the valley of the River Nubra and that of the Shayok is the Nubra region. The sand plains in this region are not useful for any kind of vegetation. To reach this place one can drive past the one can drive on the Khardungla Pass, nearly 39 kms from Leh, is the world&apos;s highest motor able road.<br />The Panamik village is the last on this circuit. Once a bustling and prosperous town is today&apos;s sleepy village. Panamik was the last stoppage of the caravans on the silk route. Hence many bazaars were present to cater the need of the travelers. But today hardly anything bustles here, though the Bactrian Camel safari has become a major attraction in this region. <br />The Pangong Lake, situated at an altitude of 14,000 ft (4,267m) is a major attraction and can be reached by trekking. 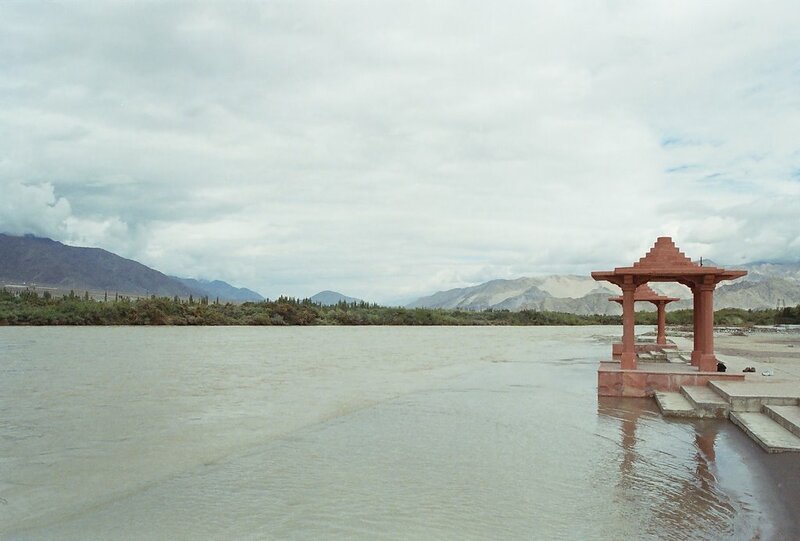 The beautiful lake is bisected by the international border between India and China. Spangmik is the farthest point up to which foreigners are permitted. The lake presents a spectacular view of the mountain ranges and their reflections shimmering in the ever-changing blues and greens of the lake&apos;s brackish waters. It is possible to sight the huge yaks and the Pashmina mountain goats famous for their wool in this region. <br />The Rupshu area reached by the Manali-Leh road has the picturesque Tso-moriri Lake. Here, the Zanskar range is transformed into bare rolling many-hued hills, divided by open high-altitude valleys. The landscape very unlike Ladakh or any other place in India is the scoring point of this dry arid, Rupshu valley. The rare black necked cranes and the Brahmani ducks which fly from Siberia can be sighted here. One can also visit the hot springs of Chumathang having therapeutic value. The northern most inhabited place of India, bordering Tibet on the east and Afghanistan in the North West frontier, Ladakh occupies most part of the big state of Jammu and Kashmir. This vast area is surrounded by two mighty mountain ranges, the Karakoram in the north and the Himalayas in the south. Owing to the altitude, ranging from 9,000 feet to 25,170 feet, the region experiences chilly weather throughout the year with a respite of two months when the maximum temperature reaches 25 degree centigrade. It is the coldest inhabited area in India.